A characteristic feature of the AR with polyQ stretch amplification and all other disorders caused by polyQ tract amplification is the generation of cytoplasmic and/or nuclear aggregates (Becker et al. 2000; Cowan et al. 2003; Darrington et al. 2002; Stenoien etal. 1999). These aggregates are thought to form the toxic principle that causes the SBMA disorder (Merry etal. 1998). They possibly arise from misfolding of the AR with polyQ stretch expansion and breakdown in proteolytic cleavage of the receptor. The aggregates sequester nuclear receptor coactivators (SRC-1), molecular chaperones and proteasomal proteins (Stenoien et al. 1999). The homeostatic disturbance associated with aggregate formation affects normal cellular function and may result in cell death. Claims have been made that it is actually the nuclear but not the cytoplasmic aggregates that contribute to the SBMA disorder (Li etal. 1998). Other voices of discontent have been raised against the aggregates in general as the toxic components in the SBMA disorder. In a study by Simeoni et al. 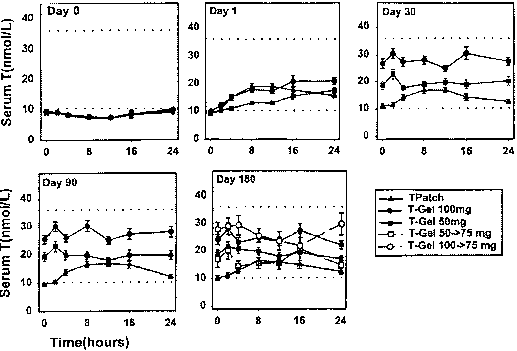 2000, the aggregates did not occur in immortalized motoneuronal NSC34 cells expressing green fluorescence protein (GFP)-tagged AR with a polyQ stretch of 48 under basal conditions. The inclusions were, however, evident after activation of the receptor by testosterone. The kinetics of aggregate formation in the NSC34 cells differed from the rate of survival of the cells. Cell death occurred in the absence of testosterone when inclusions were not detectable. On the other hand, cell survival was increased by hormone addition, a treatment that induced formation of large intracellular aggregates. In addition to the formation of aggregates, the polyQ tract in SBMA AR appears to enhance the production of C-terminally truncated fragment of the receptor. A 74 kDa fragment was particularly prominent in cells expressing the SBMA AR. From its size, it was deduced that it lacks the hormone binding but retains the DNA binding domain of the receptor. This fragment is suggested to be the toxic factor in the motor neuron disorder and it is proposed to function by initiating the transcription of specific genes (Abdullah et al. 1998; Butler et al. 1998). The generation of truncated proteins is not only limited to the AR with an expanded polyQ stretch but was observed in other proteins containing an expanded polyQ tract. It was suggested that the generation of the fragments was triggered by caspases and cleavage by this enzyme may represent a common step in the pathogenesis of the polyQ stretch neurodegenerative disorders (Ellerby etal. 1999; Wellington etal. 1998). The AR, in particular, is cleaved by caspase-3 family of proteases at Asp146 and this cleavage is increased during apoptosis. Mutation of this site blocks the ability of the SBMA AR to form perinuclear aggregates (Ellerby et al. 1999). Another hypothesis for a possible mechanism for the SBMA disorder is the activation of mitogen activated protein kinase (MAP kinase) pathways by the AR with polyQ stretch amplification. Inhibitors of the ERK pathway reduced cell death induced by AR with a polyQ stretch of 112. Exchange of the serine residue at position 514 (the ERK phosphorylation site) to an alanine blocked AR-induced cell death and the caspase-3 derived cleavage products (LaFevre-Brent and Ellerby 2003).